Weighing in at a whopping 2 lbs, and retailing for a princely $1400, this knife has every attachment ever conceived – a total of 87 blades and 141 functions! Some of my favorites include: Magnetized recessed bit holder, Chain rivet setter, Universal wrench, Springless scissors with serrated self-sharpening design, Golf Club face cleaner, Shoe spike wrench, Divot repair tool, a Ruler, Cupped cigar cutter with double honed edges, Watch caseback opening tool, Compass, Fish Scaler, Hook disgorger, Shortix laboratory key, Laser pointer with 300 ft. range, Flashlight, Special self-centering screwdriver for gunsights, Mineral crystal magnifier, Tire tread gauge and Fiber optic tool holder. How I ever went into the wild without my Shortix lab key, laser pointer and gunsight tool I will never know. This entry was posted in Backpacking, Gadgets on December 2, 2008 by brett. Earlier this year I looked into Ultralight GPS Units. I ended up trying out the Garmin Forerunner 405, but wasn&apos;t thrilled with it. I liked the watch form-factor, but it was clunky to use and was missing an Altimeter. It also came with a weird USB-cable which made field-charging it somewhat difficult. In the end, I decided a basic GPS logger is all I needed. 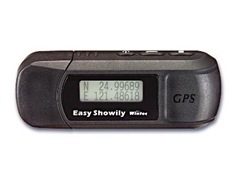 A GPS logger will record waypoints – show basic lat|long information on a screen and they usually run on easily field-replaceable batteries. 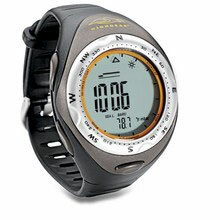 It doesn&apos;t come with a fancy color screen and map data like the traditional GPS units. The Easy Showily , as awkward as the name might be – came up trumps. This is a deceptively excellent device. First and foremost – the device is incredibly small and light – weighing in at 1.3 oz without batteries. Secondly – it has amazing battery life. I used AAA Energizer Lithium Batteries and got over 20 hours of logging-time per pair. A pair weighs in at 0.3 oz. Digging a little deeper – the cap comes off and reveals a USB plug. The device is elegantly simple – in that it does not require drivers or special software to operate. The USB connection exposes a typical thumb-drive (albeit with a meagre 5Mb of storage), and as the GPS unit logs data, it simply writes the way points to a file on the drive. 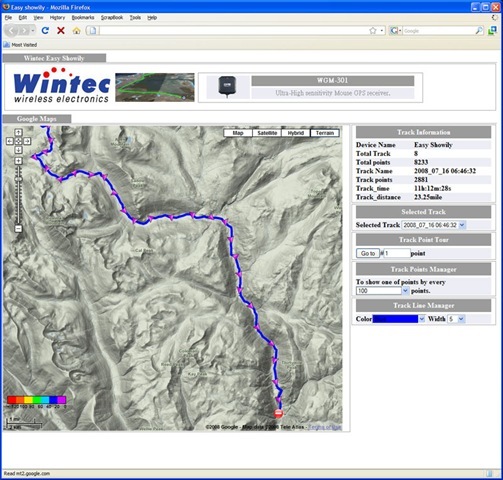 A side-bar allows you to show each GPS ˜track&apos; (a collection of way points), and overlay other information – such as ˜push-pin&apos; data, direction, speed etc. Ideal for multi-day trips, the Easily Showily can store almost 100,000 way points. When logging aggressively – as a way-point every 10 seconds – that&apos;s over 23days of continuous data assuming 12 hrs of hiking a day! It&apos;s chocked full of other features like power-saving shake-activated mode, photo-location-tagging software, multiple recording modes (bike, walk, run, car etc) and more. Costs about $99 from ˜Buy GPS Now&apos;. And the point of carrying a GPS? So I can easily crank out maps like this one of our Pasayten Trip. This entry was posted in Backpacking, Gadgets, Gear Reviews on November 9, 2008 by brett. I was in Pro Mountain Sports this evening with Tim picking up a few things. One thing that caught my eye was some crazy small and light tent pegs. The Terra Nova Titanium 2G Skewers. 2G as they weigh only 2 grams each. I weighed the pegs that came with my cloudburst. There are four of them, and together they weigh 1.6oz. Four of these guys are only 0.3 oz. Seems like a possibly interesting trade in the future. Worthy of a field test one weekend perhaps. I suspect the holding power is a lot less, but reinforced with a nearby rock they might be just fine. Pack of 6 is $20. I&apos;ve only seen them on UK based web sites so far. Tim also picked up a LiteMax stove, which he&apos;s planning on bringing on our trip. Should be a good field test. This entry was posted in Backpacking, Gadgets, Gear Reviews on July 9, 2008 by brett. No, it&apos;s not for bagging bears. It&apos;s for bagging up your food to keep out of reach of bears. Or raccoons, chipmunks, other hungry hikers etc. I&apos;ve refined this over the years taking feedback from other hikers and what I glean off forums etc. A rock-sack – for stowing and quick stone throwing. Total weight for everything 1.3 oz. 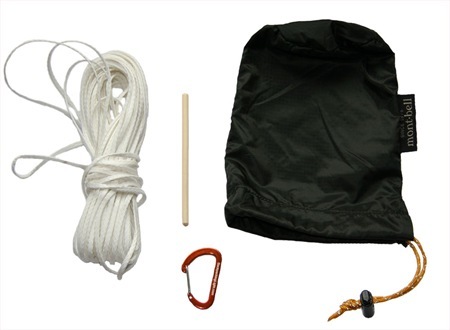 The kit makes it easy to perform the "PCT Method" of hanging food bags. Follow the link for detailed instructions on how to use this method. 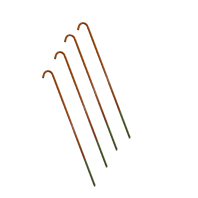 Tip: The article shows how you use a twig or stick in the field to tie a clove hitch around. I find with heavy bags it&apos;s hard to undo the hitch in the morning. One option is to break the stick – another is to bring a small section of chopstick. It&apos;s strong enough to hold the load and tapered so that it slides off easily in the morning. This entry was posted in Backpacking, Gadgets, Gear Reviews on July 7, 2008 by brett. I finally caved and bought a Garmin Forerunner 405 (more on that later). Its form factor is nice and small, but it only carries a day worth of GPS power. On a long trip, I would need a way to recharge it in the field. Enter the Minty Boost. The Internet is fortunately fully of smart EEE majors who have a fetish for building stuff in Altoids tins. The Minty Boost is one of such creations. It allows a USB device to be charged from a couple of AA batteries. The DIY kit is available from Adafruit for $19.50. I might just get one, and whip out the old soldering iron and see what I can assemble in a half hour. This entry was posted in Backpacking, Gadgets, Gear Reviews on June 24, 2008 by brett. I don&apos;t normally bother with a GPS. It doesn&apos;t quite fit my ultralight principles. The extra few ounces that I could live without – as I would not leave map and compass at home. However, Backpacker Magazine is looking for volunteers to help gather some mapping data and write-up trail guides/accounts. I agreed to do this for the our Wonderland Trail hike in July. To do so, I need to bring a GPS to track coordinates and record way points. – As light as possible. – Can log up-to 10 days or 100 miles of data. – Has enough battery life for 10 days. I don&apos;t care about maps and fancy color screens. Lithium Ion rechargeable models are obviously out due to lack of recharge ability. After a bit of digging around, it looks like the Garmin Geko 301 is coming up trumps. It weighs just 3.1 oz with batteries – and has a run-time of 12 hrs on two AAA&apos;s. We will be planning a few resupply points – so shipping in some extra batteries should be no worries. Retails for $246. This entry was posted in Backpacking, Gadgets, Gear Reviews on June 11, 2008 by brett. Have a bottle of water, or a full Platypus? Add this little gizmo – and presto – instant tripod. For a whopping ten bucks from here, it&apos;s a bit like day light robbery – but I&apos;m sure the boys over at BPL have own MYOG version for less. Weight? I have no idea… I can&apos;t justify the $10 plus shipping to find out, but it looks pretty light and seemed worth a mention. 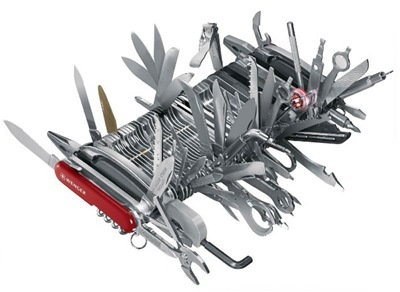 This entry was posted in Backpacking, Gadgets on June 6, 2008 by brett. For better or worse, my DNA is full of engineer genes. This means, I&apos;m constantly coming up with more crazy or fun ideas for new stuff than I could ever execute on. I love the MYOG (Make Your Own Gear) movement, but just don&apos;t have time to spend on it. I&apos;ve been keeping my eye open for a while now for a true Ultralight Tripod. Would it really be possible to have a sub-pound tripod that could accompany a digital SLR in the field without feeling like I&apos;ve regressed to the old way? So far… nothing. Carbon fibre is the most promising, but they are still 2lb+ tripods. Generally the photo community says that anything lighter weight is too flimsy or unstable. So what if one added some weight in the field to pull the center of gravity down and anchor the tri-pod in place? 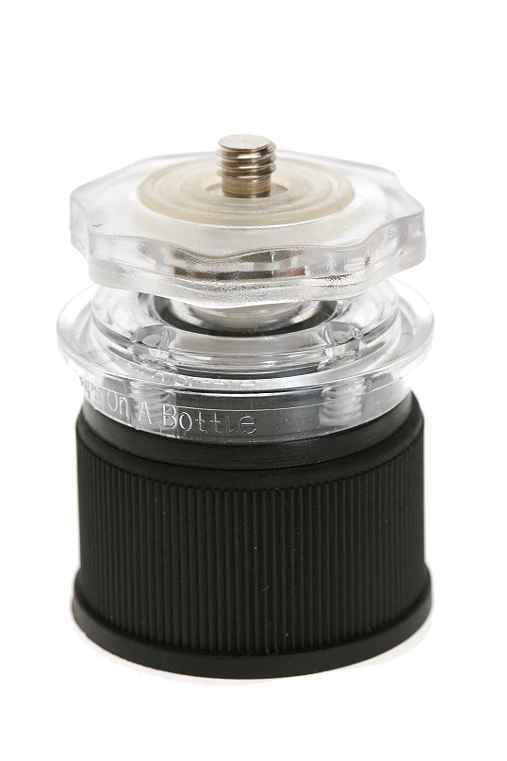 Here&apos;s the idea: a tripod with a threaded pipe connector at the base. 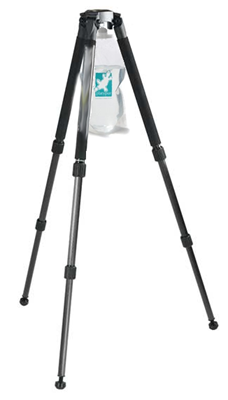 You whip out your flimsy tripod, whip out a platypus – fill it with 4lbs of water (or sand) and screw it to the bottom. Voila. Now all I need to do is find a light flimsy tripod. Target weight: 10 oz, available sometime in the future. 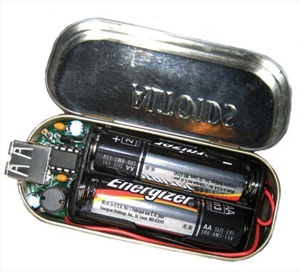 This entry was posted in Backpacking, Gadgets, Random Stuff on May 8, 2008 by brett. 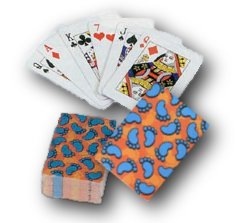 I discovered “Mini Tissue” the other day on a fellow backpackers blog and ordered a pack. These things are kind of cool. We normally take a few wet-ones with us on a trip to augment our TP supply. The moisture in the wet-ones add a weight penalty that means we don’t take too many. One reader suggested drying them out prior to the trip and re-hydrating on the trail. Neat idea – but I’m too lazy. Enter the “Mini Tissue”, these tiny compressed tissues expand when you add water into a very strong ‘shop-towel’ kind of material. They weight about 10 tissues for 1.0 oz. Here’s a video of me re-hydrating one in our kitchen sink. This entry was posted in Backpacking, Gadgets, Gear Reviews on April 3, 2008 by brett. Oh yes… the gratuitous upgrade I made prior to the West Coast Trail trip last year. I traded in our Black Diamond LED Headlamps for these little suckers. Total weight savings? The old headlamps weight an outrageous 1.1 oz, and these are only 0.2 oz. A whopping 0.9oz gain! 1. Not just a simple on|off flash light – this thing is tricked out! It has a brightness control and you can dim it very low to conserve power. 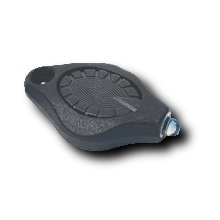 It has various &apos;blinking&apos; modes – like an emergency SOS signal. All of this configuration with just a single button. 2. It runs for 120 hrs on a single battery. 3. The spare batteries are lighter. 4. With a little tab of Velcro on the back, it attaches easily to the rim on a hat to make a decent hands-free head-lamp mode. 5. It&apos;s bomb-proof and waterproof. Finally… if you think about getting this – a word of caution. The light ships in a &apos;safety&apos; mode to prevent accidental battery drain. If you turn it on, it auto-shuts off after 5 seconds. To get it out of this mode you have to hold the button down for a whopping 20 seconds. I learned this the hard way on the WCT. Three engineers around a campfire failed to figure this out in four nights on the trail. You wouldn&apos;t think that a single button can have so many permutations! Moral of the story: RTFM. Available from PhotonLight.com for $19.95. This entry was posted in Backpacking, Gadgets, Gear Reviews on February 20, 2008 by brett. These cards are tiny and weigh in at 0.53oz. So go on and splurge on your next trip and treat yourself to that extra half ounce! You can get a 3-pack from the Backpacking Light Store for $2.99. This entry was posted in Backpacking, Gadgets, Gear Reviews on January 28, 2008 by brett. At the 2007 Outdoor Retailer Show, Aquastar announced the mÃœV (pronounced "move") water filter. It looks like an interesting alternative to chemical treatment. It&apos;s a simple UV device that you submerge in water to kill bacteria. Drop it into a bottle or pan of water for a few minutes and wait while the UV ray zap all the little critters. 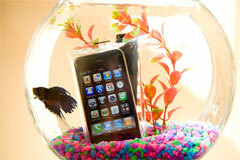 It can be recharged by simply attaching the leads to a battery. A single charge will treat about 15-20 litres of water, and a single Duracell D-Battery will provide enough juice to re-charge the filter 10 times. Weighs in at a respectible 2.4 oz. This entry was posted in Backpacking, Gadgets, Gear Reviews, Water Treatment on August 16, 2007 by brett. When backpacking, I take this tiny digital camera with me for snap shots. It&apos;s a compromise for me. I&apos;d rather be getting excellent shots with a digital SLR but a) it&apos;s hard to justify the weight and b) I find when I&apos;m backpacking I don&apos;t want to be faffing around with all the setup needed to get those killer shots. I went with the Optio as is only weighs 4.2 oz. and has a lot of features. It&apos;s a 5 megapixel camera, so has decent resolution and with a 512 mb SD card, I can take about 140 shots. Even with all the opening and closing of the lens, I have never drained a fully charged battery on a single trip. You can&apos;t buy this camera anymore – it&apos;s a old model, I think the Pentax Optio 750z has replaced it (an 8 megapixel version), but the weight has gone up. If you&apos;re in the market for a new ultralight camera, I&apos;m sure there are better options at this point in time. Anyone care to suggest? 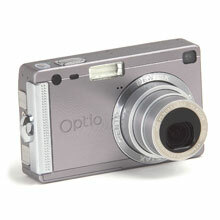 Read the digital photography review on the Pentax Optio S5i. This entry was posted in Backpacking, Gadgets, Gear Reviews on September 9, 2006 by brett. This is a decent backpacking watch. The built-in altimeter was really the main feature I was after. I find the altimeter useful to track where I am wrt. the trail guide and descriptions. When slogging up a set of switchbacks, it&apos;s more accurate for me to tell my distance based on altitude than time. I also find the temperature gauge handy at night to determine how cold it&apos;s getting, however, the watch has to be off your wrist to get accurate readings. The alarm comes in handy if you need to do a 5am start to get enough miles in the day and want to be up before sunrise, and of course, the compass allowed me to save precious ounces from my pack. Available from Amazon for $149. This entry was posted in Backpacking, Gadgets, Gear Reviews on September 7, 2006 by brett.